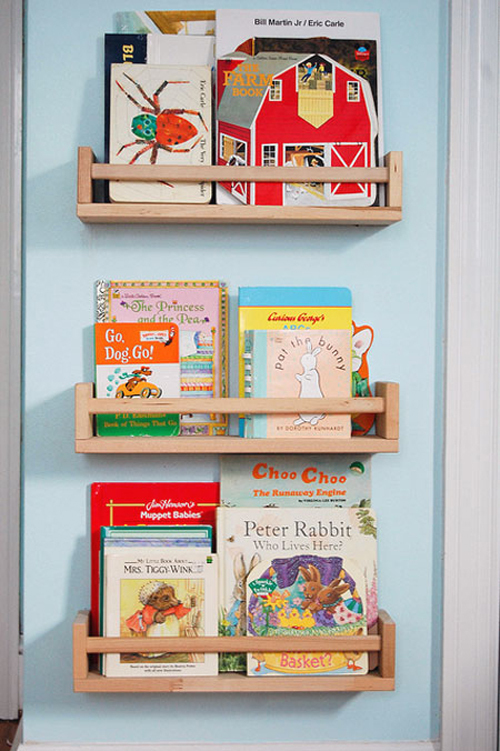 Such a clever idea to use IKEA spice racks (Bekvam) as bookshelves! I have been trying to think of a new bookshelf idea and this will be PERFECT!!! Thanks!! Super cute. I have a friend who did this in her son’s nursery many years ago…such a fab idea. I recently did a post using Ikea photo ledges to create a library for my kiddies. I have wanted to do this exact thing and never thought of using these spice racks ! So glad I see as i am going to Ikea this week. Definitely now on the shopping list ! thanks for posting. what a great and simple solution. off to price those puppies….